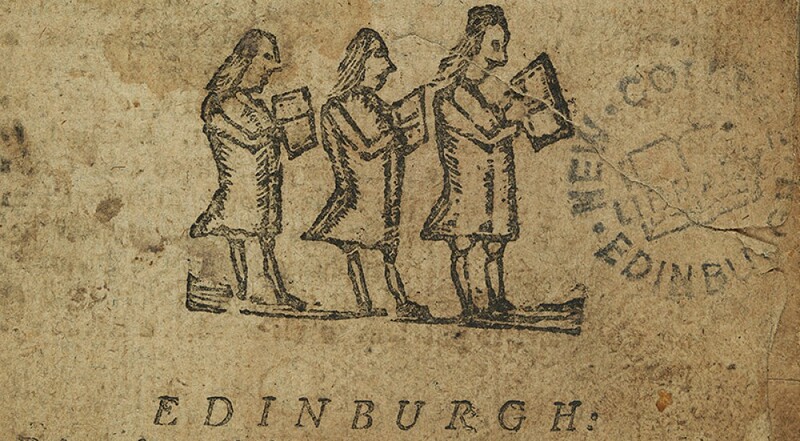 Each pamphlet, printed using the newly developed printing press technology, was cheaply produced and easily distributed, allowing the ideas they contained to spread quickly. 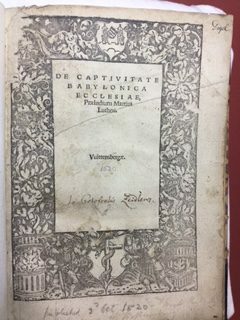 New College Library also holds some of Luther’s best known works, such as De Captivitate Babylonica Ecclesiae (1520), which attacks the Roman Catholic doctrine of Transubstantiation, as well as the Papacy. 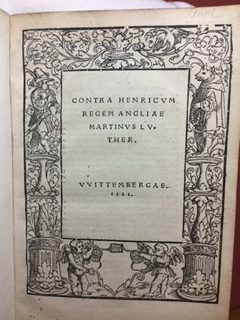 New College Library also holds Contra Henricum Regem (1522), Luther’s response to Henry VIII of England’s Assertio septem sacramentorum (or Defence of the Seven Sacraments) (1521). 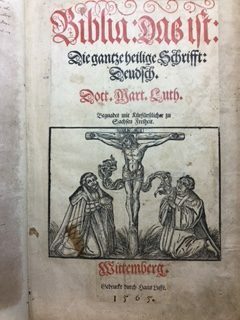 The 1543 edition of Luther’s Larger Catechism below was printed before Luther’s death in 1546. Aimed at aiding clergymen to teach their congregations and parents their children, it is an illustration of how Luther’s publications had moved over time from protest pamphlets against the established Church to the foundations of a new denomination. 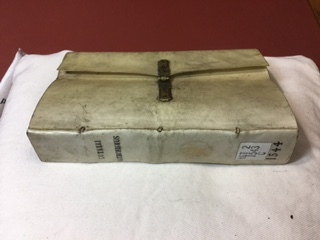 Although the binding is probably a later addition, the white vellum wrapper and brass clasp show this to have been an high value item.The smaller size of the book makes it practical for personal reading and family use. The spine has a gold embossed stamp for ‘New College’. One of Luther’s major works was his translation of the Bible, first the New Testament in 1522 and the Old Testament in 1534. New College holds an 1565 edition of Luther’s complete Bible. 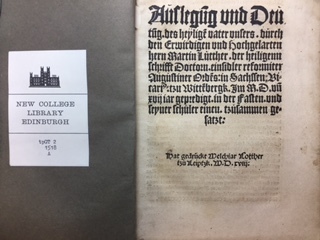 This entry was posted in Library, New College Library, Special Collections at New College Library and tagged Divinity, new college library, rare books, Reformation, sixteenth-century, Theology & Ethics by cloverodgers. Bookmark the permalink.